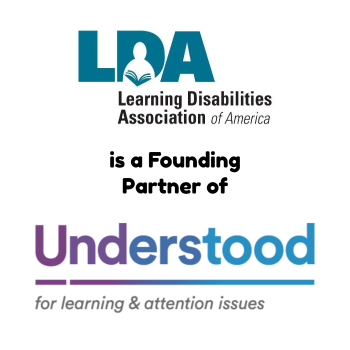 “What is the best evaluation for a learning disability?’ The answer to that important question was recently addressed in the latest LDA Core Principle adopted by the LDA Board of Directors at its February 2019 meeting. LDA Today recently interviewed Monica McHale-Small, PhD the Co-Chair of the LDA 2018 – 2020 Public Policy Committee, Adjunct Associate Professor at Temple University, and the lead writer about this Core Principle. LDA: Dr. McHale-Small, in 2010 LDA collaborated on “The Learning Disabilities Association of America’s White Paper on Evaluation, Identification, and Eligibility Criteria for Students with Specific Learning Disabilities.” That paper addresses what needs to be in an evaluation for a specific learning disability, so why did the Board decide to develop a Core Principle on Evaluations and Identification? MMS: The topic of evaluations and identification is also touched on in other LDA position papers including Response-to-Intervention and the Right to an Evaluation. However, there continues to be confusion among many, including parents, educators and policymakers, on the current best practice for an evaluation for a learning disability and its identification. The Board believed that LDA needed to adopt a paper that clearly and succinctly sets out this best practice. LDA: The language in the Core Principle might be difficult for some parents and educators to understand. Why was the Core Principle written in this way? MMS: The purpose of all the Core Principles is to establish a set of standards and guidelines reflecting the positions and philosophies of LDA. In this Core Principle our primary audience is those who can change the laws and policies that impact individuals with learning disabilities, including legislators, regulators, …. It was crucial to use the technical language used in the field so that there is no misunderstanding about the positions stated in the Core Principle. LDA: So, can I ask you to explain some of the language? LDA: The Core Principle states, “There is increasing scientific evidence of the genetic basis of Learning Disabilities.” How do genes impact who has a learning disability? MMS: Learning disabilities are neurobiological which means they are based in the brain. Genes are among the things that influence brain development. What we know is that learning disabilities tend to run in families and this is because genes are passed down from parent to child. That means it is important to get a full family history of learning and attention difficulties when evaluating individuals for learning disabilities. LDA: My next question is about the section in the Core Principle that I find most difficult to understand. What are, “standardized, norm-referenced assessment of cognitive abilities and academic achievement”? MMS: Standardized means that the tests are given and scored in the same way for all test takers. Norm-referenced means that the performance of the individual is compared to a “norm-group”, a large, nationally representative sample of individuals of the same age. This is a way that we can look at an individual’s performance and see how close it is to what is typical for individuals of that same age. Norm-referenced, standardized tests use standard scores. Typically these scores have a mean or average of 100 and a standard deviation of 15. That means that scores that are considered ‘average’ range from 85 to 115. Cognitive tests are assessments that look at the abilities that are related to academic performance; things like working memory, verbal skills, reasoning abilities, processing speed, things like that. Achievement tests look at the individuals reading, writing math, listening and speaking skills in comparison to other individuals of the same age. LDA: Can you give some examples? MMS: Sure. The Woodcock-Johnson IV tests are used to assess all of the skills listed above. The Wechsler scales (WISC-V, WAIS-V, and WPPSI-IV) are commonly used assessments of cognitive skills. Sometimes psychologists use specialized assessments to look more closely at specific cognitive or achievement skills. The Comprehensive Test of Phonological Processing (CTOPP-2) and the Feifer Assessment of Reading (FAR) are two examples. LDA: Are these kinds of assessments done as part of RTI? MMS: Not typically. Some RTI models do use some of these specialized assessments in a diagnostic way to help determine which students are most at-risk and in need of intervention. For example, we know that rapid automatized naming (RAN) is very predictive of students who will struggle to read. RAN refers to the student’s ability to quickly name letters, numbers and objects. Thus, some schools using RTI models will use the RAN subtests from the CTOPP-2 or a similar assessment as part of screening for risk. However, in most schools RTI relies on screening and academic benchmark assessments and not these more specialized diagnostic assessments. 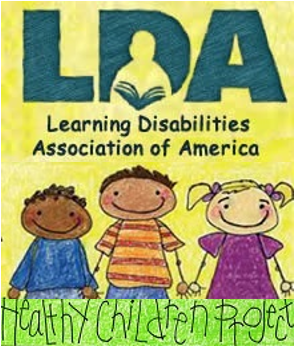 LDA: The term “cognitive” also appears in the next paragraph: “Cognitive processing deficits are agreed to be a hallmark of Learning Disabilities.” What are cognitive processes, and how do they cause a learning disability? 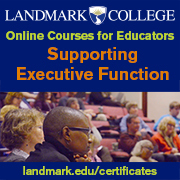 MMS: Cognitive processes are those abilities that underlie the acquisition of academic skills. Things like working memory, phonological processing, processing speed such as RAN. Cognition happens in the brain. These are brain processes that enable us to learn, think, reason and problem solve. When an individual has under-developed skills in certain areas, it can make learning difficult. That is what we mean by a learning disability. LDA: So, if I suspect my child or student of having a learning disability, does that mean I should make sure certain cognitive processes are assessed? MMS: Yes. And you can help the evaluator by describing the things that you notice your child has difficulty with. For example, maybe they consistently mispronounce words, have difficulty with rhyming, or have difficulty remembering multiple step directions. Things like that would give the evaluator important clues about what needs to be looked at more closely. LDA: The Core Principle states that “identification of a learning disability” should be done by a “qualified professional.” A few are listed in the document, but I don’t see a student’s regular education teacher listed as someone who can make this decision. Is that correct? MMS: The child’s regular education teacher is an important part of the team. That individual has a wealth of information about how your child functions in the classroom; what things they are good at and what things they struggle with. Classroom teachers can speak to how the child learns relative to their peers but they do not, typically, have the credentials and training to diagnose learning disabilities. LDA: The document also notes “qualitative and quantitative” information. What are these, and how are they different from each other? MMS: Quantitative information refers to numbers; test scores, the number of words a child reads per minute, etc. Qualitative information is descriptive. It refers to how a child approaches a task; their persistence with frustrating problems, how they talk themselves through the steps as a solve a problem, etc. Qualitative also refers to the context in which a student achieves a score, things like how much support or instruction the student has received. LDA: There is one other section of the Core Principle I don’t understand: “It is essential to consider qualitative factors and process factors involved in reaching what may quantitatively be an “average” test score.” What does this mean, and why was it necessary to include this language? MMS: What we are referring to there is the idea that we have to go beyond the numbers and look at the context. For example, a student may have received a score that is technically in the average range but they achieved that score only after intensive intervention and intensive efforts. That is why you cannot use arbitrary cutoffs like ‘scores below a standard score of 85’. If a standard score of 85 on a decoding subtest was achieved by a student who has a family history of learning disabilities and that is the score they achieved after intensive intervention in an RTI model, that needs to be interpreted differently than a standard score of 85 achieved by a student who has never had decoding instruction and who has no family history of academic difficulties. LDA: So, does that mean that if my child is getting good grades or has an average or above-average score on a standardized test like the WIAT, that he may still have learning disability? MMS: Grades are never the best indicator because a lot of subjective information goes into teacher grades. The example above describes how a technically average score could still be indicative of a learning disability. It is important that all academic skills and subskills in reading, writing, listening, speaking and mathematics are assessed because it is very plausible that a child with a learning disability can score average or above average in some areas but have very deficient skills in other areas. For example, I sometimes see evaluations of older students where only reading comprehension was assessed and not word reading and decoding skills. Students can obtain average scores on reading comprehension tasks if they have good background information and verbal skills despite what may be poor decoding skills. But without good decoding skills, students will start to struggle as they get older and need to read more and more words they do not typically encounter every day. Without good decoding skills reading in science and social studies can become very difficult. LDA: Thank you, Dr. McHale-Small. This has been very helpful. We look forward to LDA’s next Core Principle.